What is greater than getting your eyes laid on some high resolution photos of upcoming smartphones? 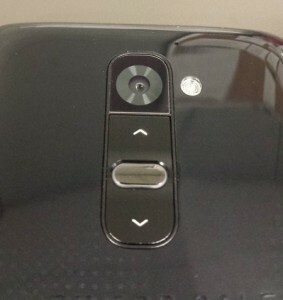 Enough of blurry, fuzzy cam images of the latest LG Optimus G2, here comes the high-res images and whoa! 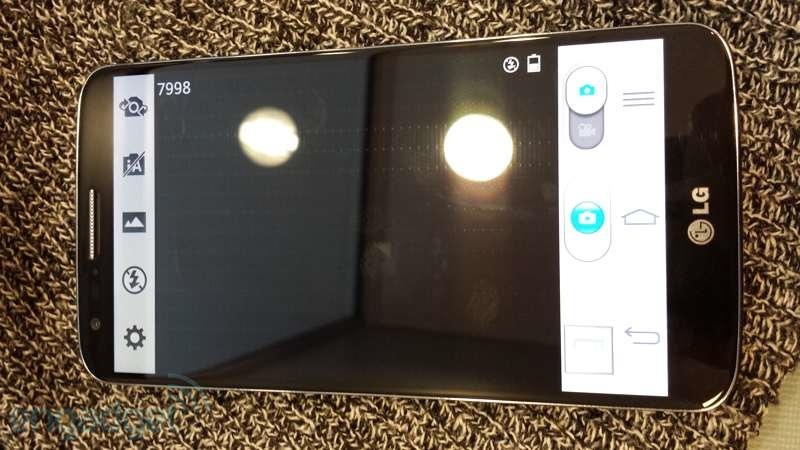 a video too, showing what the LG G2 would actually look like. 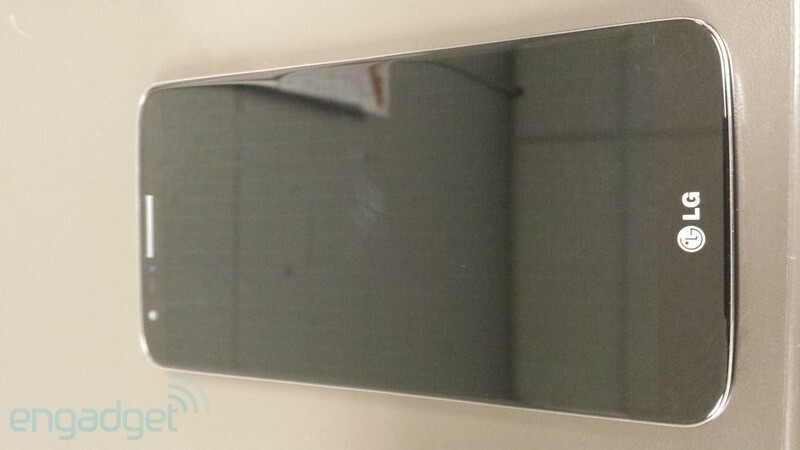 The design is giving a very distinctive Nexus 4 vibe, specifically from the front of the G2 with rounded corners and tapered glass. The smartphone looks pretty with a glossy finish and would probably sport a holographic pattern following the Optimus G and G Pro trend. We can’t be sure since the device here is covered in some sort of protective shield. 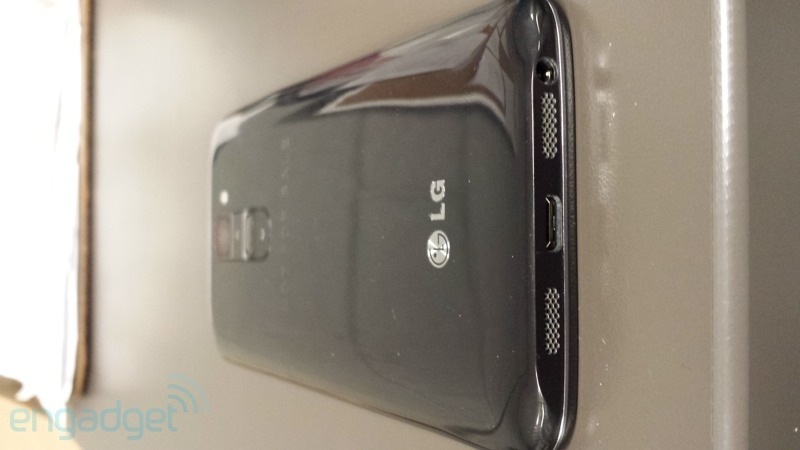 From the designing perspective, it is an all screen front with no physical or capacitive buttons, sporting only an LG logo on the bottom of the device. Cleverly maximizing the screen to body ratio actually puts LG in the leading leagues. 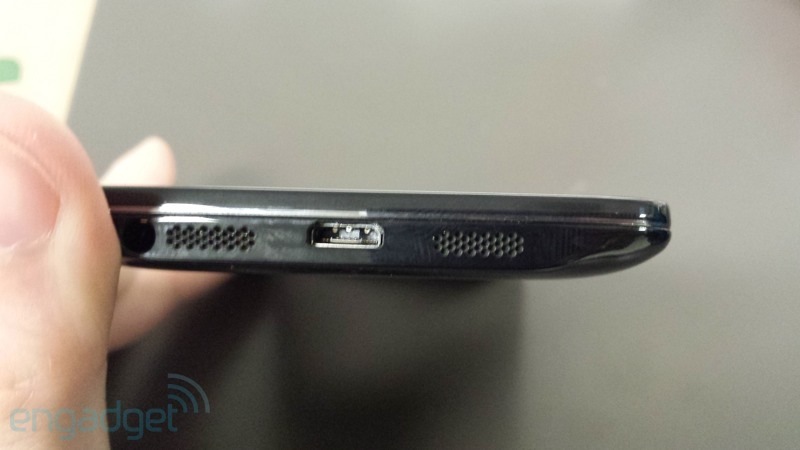 The volume rocker and power buttons can be seen on the rear of the LG G2, moved from their usual location at the sides of the device. Rememberm rumors were suggesting that power button would actually be a fingerprint scanner? We can only see the user in the video pressing it, like normally done. The small sized speakers have been placed at the bottom edge of the device, which is actually better than having them at the back. The LG Optimus G2 is expected to be announced in mid-July in South Korea, with a full international launch to follow on August 7th.